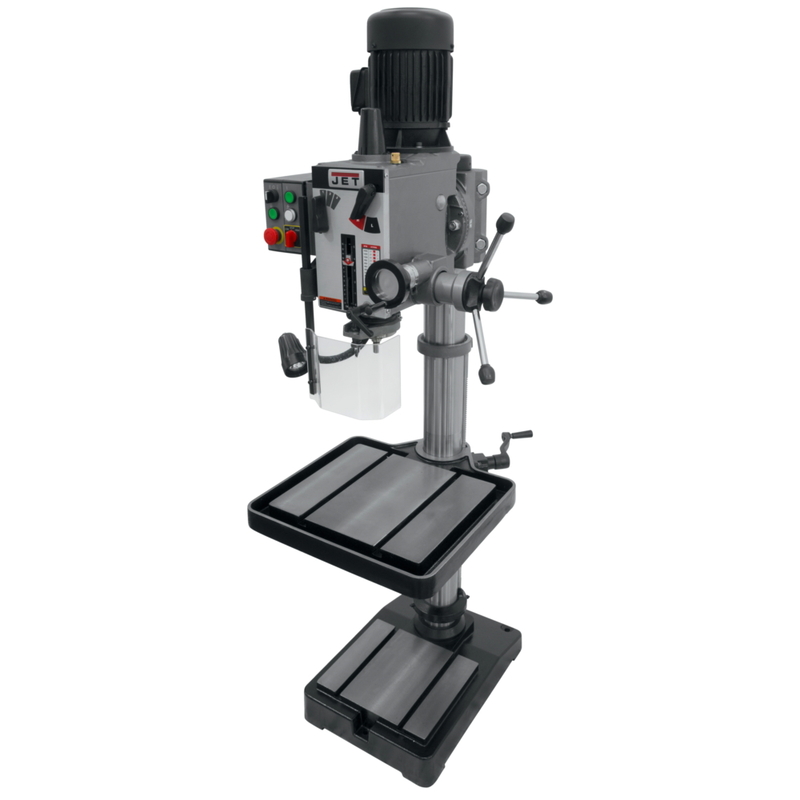 This 20" geared head drill press has a heavy duty design and allows for a variety of precision drilling applications. Included is an easy to read internal depth gauge with a built-in spindle lock. The head tilts left or right and also has a calibrated fine down feed built-in. The large production table and T-slotted base has an easy to access table raiser. Also included are a drill chuck arbor and a draw bar.